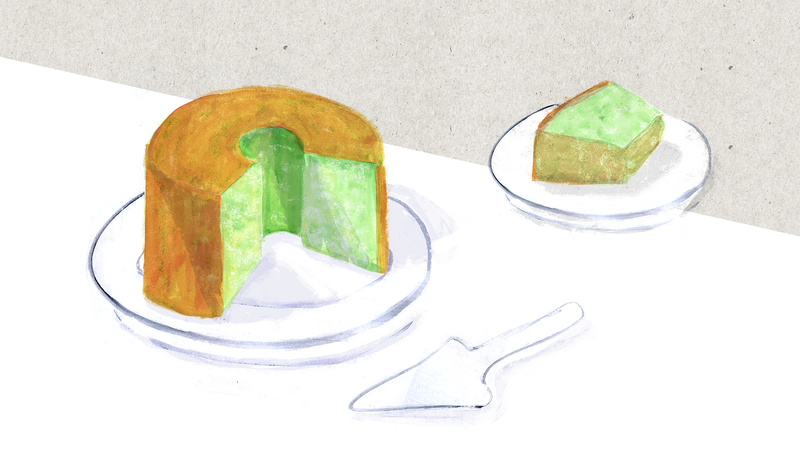 A light and fluffy cake made with coconut milk and pandan. 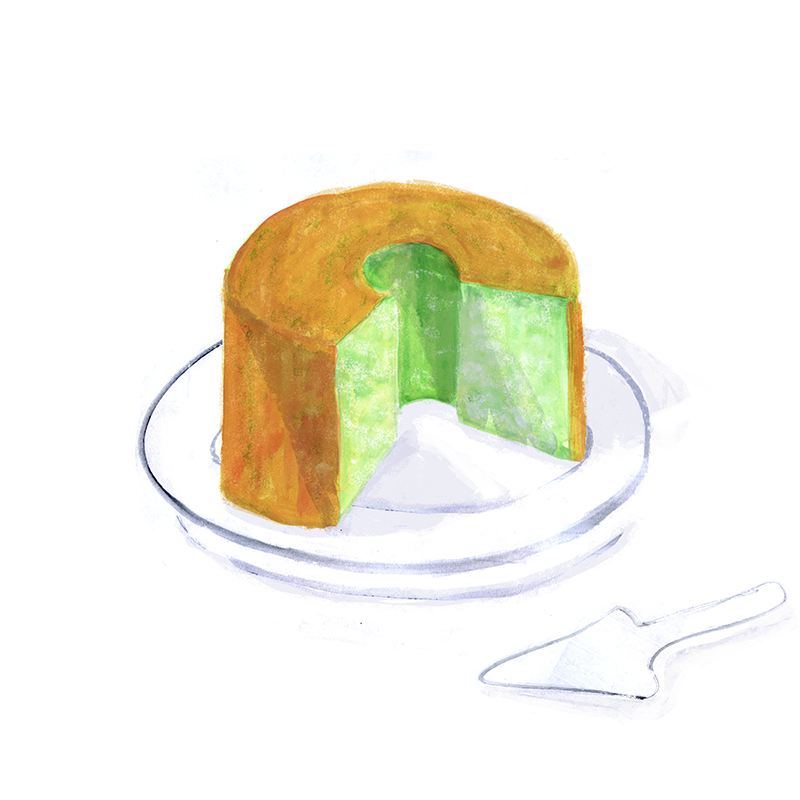 In a mixing bowl, whisk together egg yolks, coconut milk, pandan extract and 2 drops of food coloring (if using). In another bowl, sift together flour, baking powder and salt. Add flour mixture and ½ cup sugar to the egg yolk mixture. Add vegetable oil and whisk everything to combine. In a separate clean bowl, beat egg whites and gradually add remaining ½ cup sugar together. Beat until soft peaks form. Slowly fold egg whites into egg yolk mixture in 3-4 additions, being careful not to overmix. Pour cake mixture into an ungreased tube pan. Bake for 45 minutes. Flip the pan upside down against a bottle on kitchen counter and let cool for 25-30 minutes. Loosen side of cake with a knife.